You will recall that last Christmas we had to cancel The Voice Squad concert, just two days before the event, due to an unfortunate injury suffered by one of the group. The good news is that they are definitely coming this Saturday, December 5. And to make it an even more memorable evening, we are adding the great John Spillane to the bill, a singer/guitarist described by the music bible, Hot Press, as “a songsmith capable of creating works of wonder.” John is the mighty Christy Moore’s favourite songwriter and an engaging stage presence. The Voice Squad are a highly acclaimed harmony group who have worked with Elvis Costello, Van Morrison, Sinead O’Connor and the Chieftains. Their repertoire includes traditional classics such as The Banks of the Bann, The Parting Glass, Ae Fond Kiss and Christmas classics, The Holly She Bears a Berry, Kilmore Carol, Shepherds Arise etc. As usual we ask for your help in promoting this event to ensure that we have a sell-out and to make it a memorable Christmas for all the kids in Darjeeling looked after by the Edith Wilkins Foundation for Street Children. We thank our sponsors including Charlie O’Neill’s bar, 18 Rue Hoffmann, and an anonymous business person who has been consistently generous to GLAS. 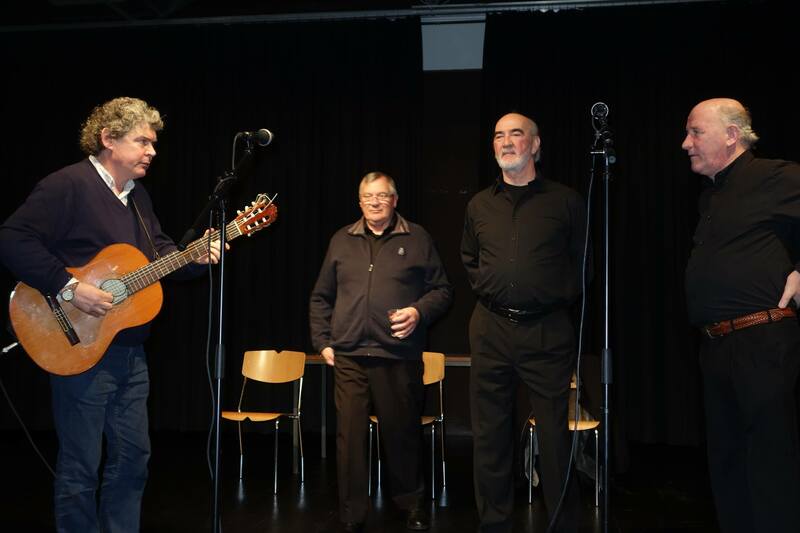 “There’s something almost choral about it, even though they are traditional Irish singers. The melodies are so beautiful and the band is so in tune with one another they seem like one voice”, – THE GUARDIAN. “I sing John Spillane songs everywhere I go. John is my favourite songwriter for the past ten years and I’ve been blessed to record a number of his songs. – CHRISTY MOORE.